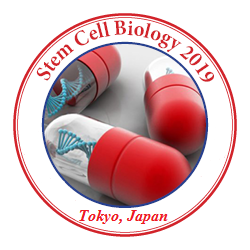 Regenerative medicine is a broad field that includes tissue engineering but also incorporates research on self-healing where the body uses its own systems, sometimes with help foreign biological material to recreate cells and rebuild tissues and organs. The terms “tissue engineering” and “regenerative medicine” have become largely interchangeable, as the field hopes to focus on cures instead of treatments for complex, often chronic, diseases. This field continues to evolve. In addition to medical applications, non-therapeutic applications include using tissues as biosensors to detect biological or chemical threat agents, and tissue chips that can be used to test the toxicity of an experimental medication. Regenerative medicine includes the generation and use of therapeutic stem cells, tissue engineering and the production of artificial organs. Regenerative medicine seeks to replace tissue or organs that have been damaged by disease, trauma, or congenital issues, vs. the current clinical strategy that focuses primarily on treating the symptoms. The tools used to realize these outcomes are tissue engineering, cellular therapies, and medical devices and artificial organs.